It’s easy to be a little in awe of the people who work at Mona (the Museum of Old & New Art). Almost always dressed in black, they exude a sense of ‘cool’ that comes with being an insider at a company well known for, at least on the surface, bucking the system and doing whatever they like. The almost cult-like adoration of Mona, in particular of eccentric founder David Walsh, by both employees and the general public is infectious. You may not enjoy everything they do, but you have to respect the way they do it. Of course, what you see on the surface does not always tell the whole story. 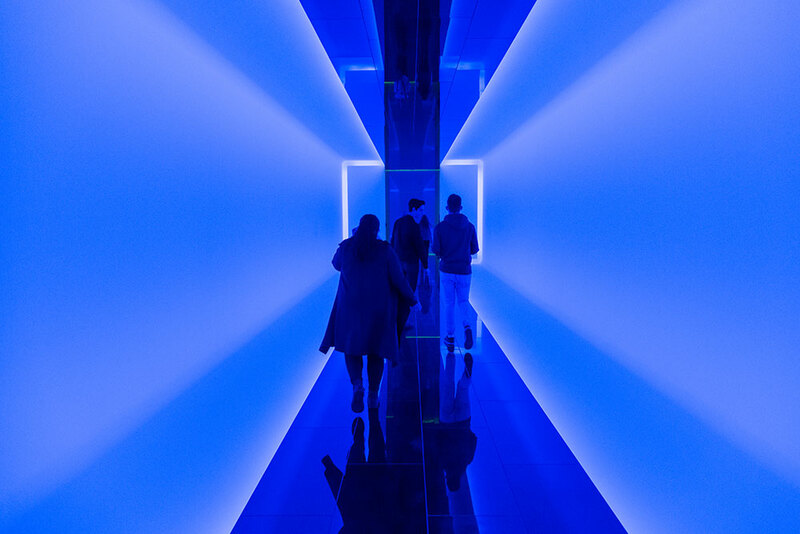 Students at creative educator Foundry (and full disclosure publishers of Lume) were recently given the opportunity to look below the surface during a tour of Mona. Clad head-to-toe in black (of course), Mona functions and events coordinator Katie Holmes and Mona premium partnerships and experiences director Maria Lurighi kicked off the tour with an introduction that gave the students a better idea of the broad scope of the hospitality activities that Mona is involved in. There’s a lot going on at the main Mona site, with multiple bars, cafés, and restaurants, Moorilla winery, Moo Brew brewery and regular events of various sizes. One of the biggest challenges it seems is having multiple venues in a working museum and the shuffling of people and logistics that this entails. “Things always look calm on the surface but behind the scenes it’s pretty chaotic,” Katie was happy to admit. As we step into The Source restaurant, Maria demonstrates a remarkable memory for the many staff members scurrying around, rattling off their names and (generally impressive) achievements. Award winning dancers, musicians and artists working in the vibrant Mona atmosphere as a day job. The rapid-fire discussion encapsulates the thinking behind the restaurant’s architecture, artwork, design, menu and philosophy, which are all based around fertility, a theme that David Walsh and his wife Kirsha Kaechele chose personally. We progress deep into the heart of the relatively new Pharos wing of the museum. The group shuffles through some of the non-public storage and office areas. It’s always interesting to see restricted areas of any venue, even just to enjoy the bemused and slightly confused looks from the staff. The highlight of the Pharos area was the amazing Jame Turrell light installation that is apparently repainted daily due to people accidentally walking off the path and leaving footprints on the artwork. At Faros, we marvel at the bar and restaurant’s clever design, centred around a massive spherical art installation. There are waiters wearing lab coats and those majestic views over the Derwent River. The tour soon moves on to Moorilla winery. Whether wine is your thing or not, the tour itself was full of interesting facts about the history of the winery and how it has developed. Moorilla is in fact Tasmania’s second-oldest vineyard, kept from the top spot by just six months by Providence Vineyards in Northern Tasmania. After David Walsh purchased it in 1995, Moorilla became the inspiration and, of course, location for the Mona museum itself. After a few cheeky wine samples with a lot of enthusiastic, bordering on obsessive, explanations of vintage, colour, mouth-feel and nose, the tour wrapped up with a light lunch featuring some of the best hummus you’ll likely ever taste, and a sample Moo Brew beer. Mona staff are clearly passionate for a reason. The design and curation of the museum, the restaurants and the wine and beer is impressive and truly worthy of the awards and accolades they receive. They may be clad in black, but their grasp of and passion for their patch of Tassie turf is illuminating.